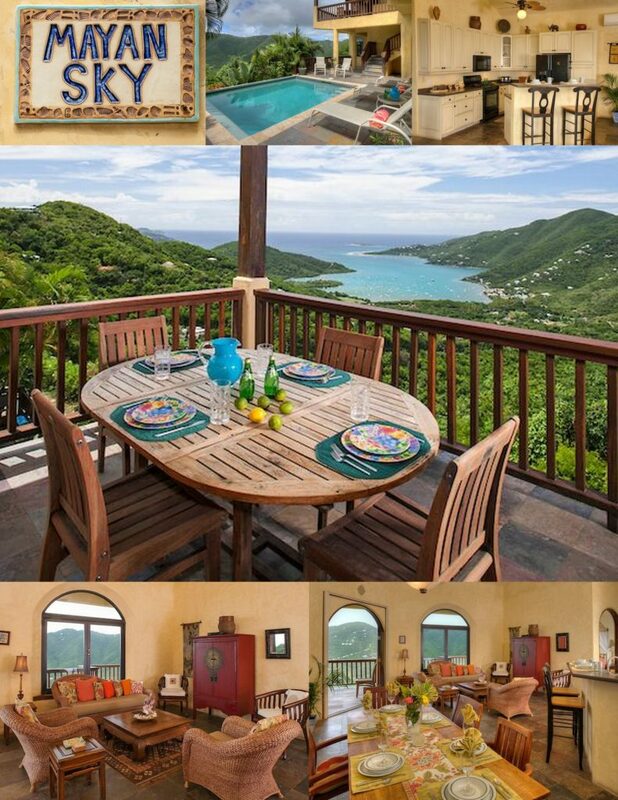 It seems that every 4 years we make an opportunity to vacation in St John Virgin Islands. 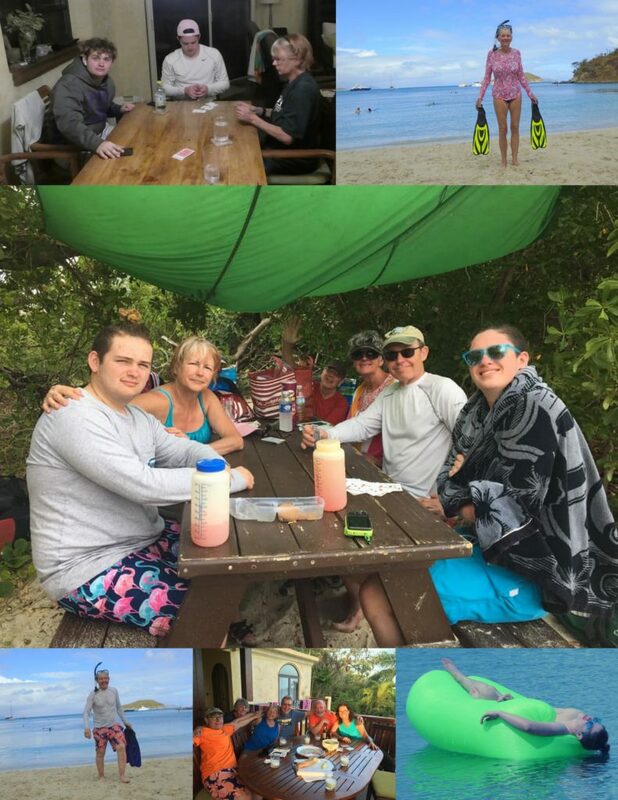 This year we planned a trip as Eric said it was his favorite vacation (better than white water rafting or horse packing trips) and there was nothing planned during the week out of school. We were joined by Jim & Pam, Skip, Kathryn’s friend Gaie and Eric’s friend Jack – making a party of eight. Pam found deeply discounted airline tickets ~$400 (Basic Economy) which meant we were usually seated in the extreme rear of the plane. Kathryn located a house for all of us: Helmers shared a room, Jim & the boys shared a room, Skip slept on the pull out couch, and Gaie / Kathryn shared a room. Our flight was so late getting out of Syracuse, we missed our connection at JFK so we didn’t get to our destination until the following afternoon. There are legitimate reasons for a flight to be delayed – weather, mechanical issues, etc. but had any one of those reasons been dealt with in a reasonable amount of time, we would NOT have missed our connection. Second, we were told a wheel on the jetway was frozen and they could not get it over to the airplane. A lot of time was spend trying to decide if we could walk to the plane or if the jetway needed to be moved. Ultimately it was determined it would be too “dangerous” to walk to the plane but they managed to get the jetway moved. We were in Syracuse NY in February; there had been an ice storm the day prior. It is inconceivable that no one thought to check the jetway out prior to boarding time. Third, we were told that the toilets on the plane didn’t have water. We sat on the plane while a couple of jugs of water were brought in for the toilets. I do not see how servicing the toilets should be a last minute thing. Besides, it was only a 35 minute flight, the passengers would have been willing to forgo the toilets for that length of time. Once we landed in JFK Helmers, with checked luggage, got on a shuttle and made it to the flight to St. Thomas. They mentioned to the crew that we were right behind them. Those of us with carry-on luggage had to wait a few minutes for that, so we caught the very next shuttle. We still thought we would make it. However, a passenger incorrectly got on our shuttle, so the driver – despite being told that we had only minutes to get to our gate – turned and made a different stop for this passenger. We might have made our flight but for this driver’s decision to make the extra stop. When we got to our gate, the doors to our flight had closed. Helmers actually made it to the plane and shared our status with the crew, but to no avail. There were no other flights available to St. Thomas out of JFK, LaGuardia or Newark until the next day and none of them direct. We elected to get to Atlanta that day so we would not have to worry about another layover. 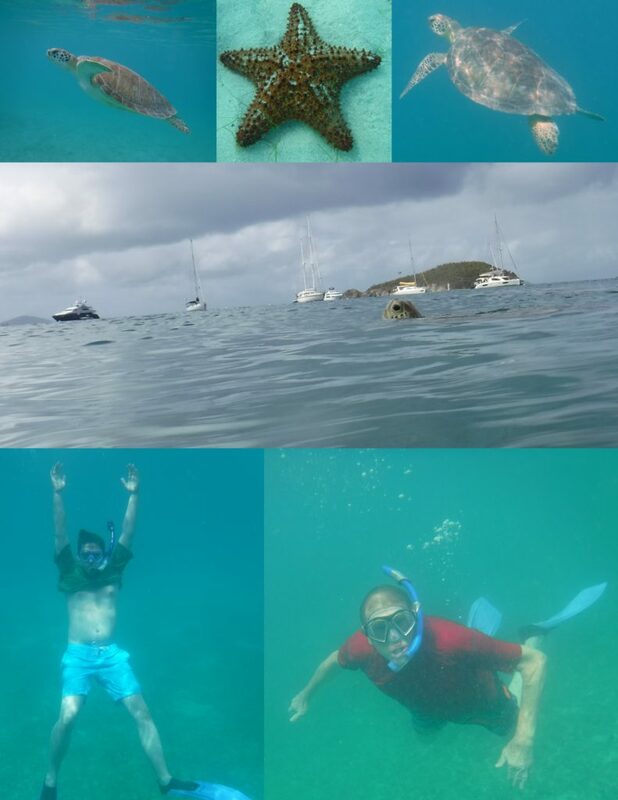 So we got to St. Thomas a full 24 hours later that we expected, which means our time in St. John was cut to only 5 days. The house, Mayan Sky, was quite nice, not luxurious or new, but pretty nice and of course with a lovely view. There were some minor issues with the house – dishwasher didn’t work and the faucet from the bathroom the boys used leaked (leaky faucets are a big issue), but they came up and took care of those things pretty quickly. Things break, it’s an island, what are you going to do. The night before we left, the water pump went, so we had no water the last evening or the day we left which was pretty inconvenient (we used buckets of water from the pool to flush toilets). There was evidence of storm damage. Skinny Legs was rebuilt, and looks about the same. The Coral Bay fire house and school aren’t quite done. The restaurant and grocery store on the way to Salt Pond are gone. Most houses don’t have land line telephones, and there is very little cell coverage (must be the poles came down). There are houses being rebuilt and some not being rebuilt. One of the things we most noticed were NO BANANAQUITS. We left sugar out the entire time and saw one bananaquit, and he didn’t eat. We also only saw one hummingbird. I assume they got blown off the island, and the remaining ones have not had time to repopulate. The beaches were all good. Lots and lots of turtles, more than we ever saw before. Not a ton of fish, but enough to be interesting. Not much coral. We went to Leinster, Francis, Salt Pond, Lameshur (the road to which was so bad I thought I would not be able to get through and/or would ruin the rental car, and when we did get there, the beach was nice but there was not much to see snorkeling), and Maho (which had so many turtles, you felt like you couldn’t turn around without seeing one). Eric, Skip and Jim got sunburn early on. We all got along pretty well, despite my friend Gaie not knowing anybody else but me. She is pretty outgoing so I think that helped. I taught Eric, his buddy Jack and Jim Helmer to play Euchre. Coming home was just short of a nightmare. Our plane didn’t leave until 3:30, but we were packed, so decided we would catch the 10:00 car barge and maybe then do some shopping in Red Hook. Wrong. The ferry got full, and we were left standing. About 30 minutes later another ferry came in at the adjacent dock, but through some awful miscommunication we didn’t drive the 50 yards over there, and when we did, that ferry was full. The next ferry didn’t come until 12, but we thought we were still good. Wrong again. The traffic through Charlotte Amalie was so bad, due to construction and road work, it took us over an hour to get to the car rental place. We got to the airport about 90 minutes before our flight, which is only about 75 minutes before they close the doors. By the time we got checked in, through customs and through TSA , the plane was half boarded. But we made it. Only to have our 3 hour layover in Newark extended an hour; only to discover that they didn’t have enough seats for all of us. I worked with the gate attendant and she got us so we were just one boarding pass short (Eric); Skip was going to give up his ticket (they offered him $800 credit) but at the last minute someone didn’t show up so Eric and I were the last ones on the plane. We made it home by 2am and it already feels like we were never there.